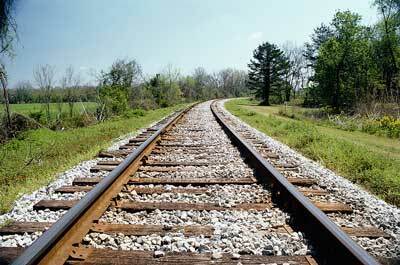 A public hearing to discuss the Rails to Trails project was held Tues., July 16. This meeting was part of criteria that must be met by the Town of Edgefield and Edgefield County who are working in conjunction to obtain a $100,000 grant for the project. Approximately half a dozen citizens attended the meeting, and while some did pose questions and issue comments, no objections to the endeavor were given. If grant funding is awarded, the plan is to extend the trail from the soccer complex in Edgefield to Beaver Dam Street; property the town of Edgefield already owns. Also, at this location, there is another old railroad line that connects from Greenwood to Augusta that could open other possibilities in the future, according to Edgefield County Administrator Lynn Strom, who spoke to The Advertiser regarding this project. The application for the Rails to Trails grant was submitted last week. The town and county hope to hear by the fall whether or not they have been awarded these funds.